On a distant mining colony at the far reaches of a galactic empire, vast cities crawl across the surface of desolate planet looking for valuable minerals while their citizens struggle to survive. 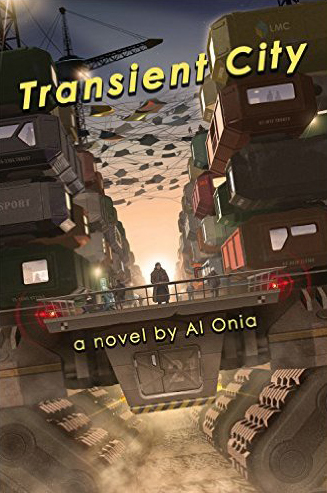 Victor Stromboli, a professional crime scene witness is nearly crippled by the brutal memories he can’t control or forget. Now, he has to solve the mystery of a missing corporate executive. The only trouble is: the man is the husband of the love of his life. 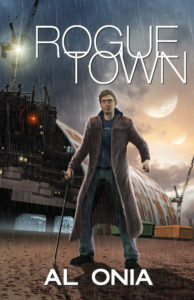 Stromboli has to overcome rogue miners, corporate intrigue and a pair of vicious psychopaths. Or die trying. 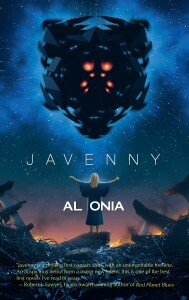 A race for power and wealth transforms into a race to save the world in Al Onia’s debut novel, Javenny. A young woman’s calling may be all that stands between Earth and the dreams of a dying alien race… assuming she survives the machinations of her church and the corporate sharks who want to use her for their own ambitions. Javenny is a globe spanning adventure that asks the question; can a single person change the world?